One art form that many traditional Kung Fu schools possess is the Lion Dance. It was once virtually eliminated from Kung Fu by the cultural revolution in China, and the old teachers had to keep it “secret”. 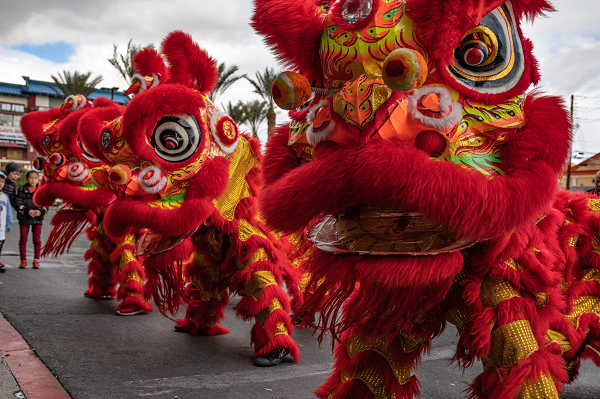 Physically the Lion Dance makes one very strong, creates major endurance, and builds teamwork and camaraderie. Here at the Lohan School, if you get to know our ‘senior students’, almost every single one is a Lion Dancer. This is how they developed their fitness, agility and endurance. We are a Fighting Lion school with a strong history that goes back hundreds of years. It is essential that our Lion dancers are active Kung Fu practitioners, to uphold the function of the tradition Shaolin warriors through the years, of protectors of the peoples’ villages and homes. The way we perform our Lion Dance ceremonies is done with the knowing that we move and carry the Spirit of the Lion. 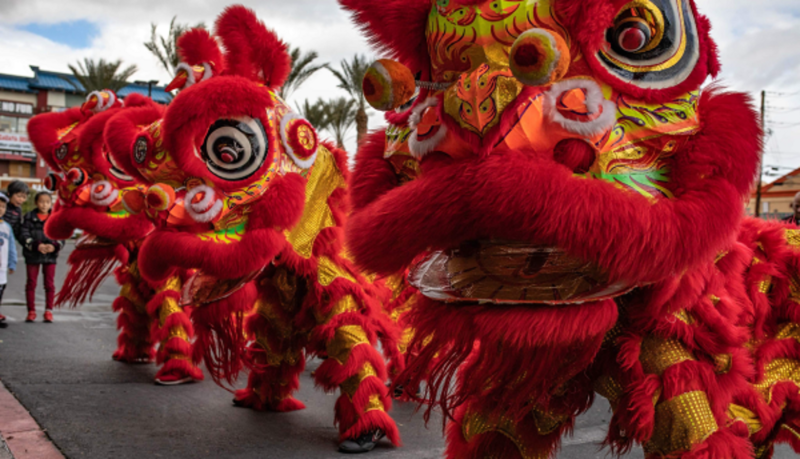 The Lion Dance shows our school’s strength and unity, earning respect from the Las Vegas casinos, our community, other schools, and clients from around the world who request our Lion Dance ceremonial blessing for their events. Here at the Lohan School, we take much pride in carrying on this ancient tradition.